ECONOMY: No "Winnow Mission" on the Ferrari F1 in Australia! 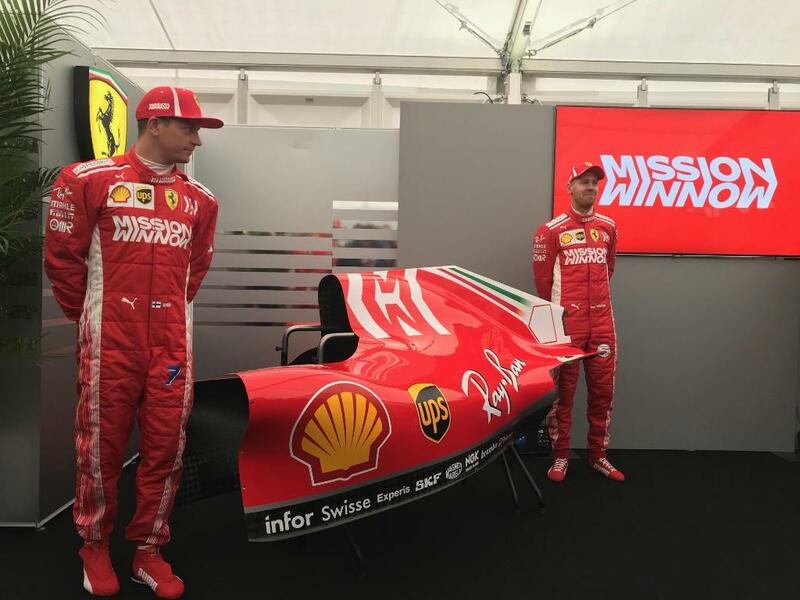 A few days ago, we unveiled here the new partnership " Winnow Mission Which should appear on the 1 formula of Ferrari this season. Finally, things will not be so simple for the Scuderia who will have to revise her livery, by removing "Mission Winnow" for the first round of the 2019 championship in Australia. "NO SOLUTION WITH THE DEPARTMENT OF AUSTRALIAN HEALTH"
In the viewfinder of the Australian authorities, Winnow Mission, initiative launched by Philip Morris, one of the emblematic partners of the Scuderia, will not be on the Italian single-seaters. The information was given in Geneva by Louis Camilleri, General Manager of Ferrari. « There were problems with the [Australian] health department and Philip Morris did not have time to find a solution. Mission Winnow does not refer to a brand, it has nothing to do with tobacco. This is the transition from cigarettes to electronics. In Australia, there will be a surprise for our fans He explained. A few days ago, Ferrari's new brand partner disappeared from the entry list of the F1 2019. Same sanction for McLaren and " A Better Tomorrow "? The situation known by Mission Winnow could also be problematic for A Better Tomorrow. The initiative of British American Tobacco, sponsor of McLaren, could also suffer the same fate and disappear from the orange car. However, the Philip Morris initiative is visually close to the Marlboro brand, because of its logo. Following : VAP'NEWS: The e-cigarette news of the 9 Weekend and 10 Mars 2019. LAW: The European Commission puts its nose in ... After a recent investigation by the Australian authorities, the European Commission decides to examine the recent associations between the 1 formula stables and the tobacco companies.